The Louisiana Department of Wildlife and Fisheries has announced that the golden retriever will be featured in the “Retrievers Save Game” series for the 2008 Louisiana Waterfowl Conservation Stamp or Louisiana duck stamp competition.The golden retriever must be prominent in the design and each entry must also include live waterfowl selected by the artist. Artists may also choose to include harvested waterfowl, duck decoys, hunting scenes and other backgrounds along with wetland habitats. After 16 years of featuring waterfowl, the program switched to the retriever’s series three years ago, because all of the popular waterfowl species had already been used. Golden retrievers are a rather recent breed, developed in Britain in the late 1800’s. Originally termed yellow retrievers, early breeders used water spaniels, Newfoundlands and Irish setters in the development of the original goldens. The initial vision for the golden retrievers was for a dog that would have great enthusiasm for retrieving waterfowl. Over time the golden has become a popular family pet, show dog, a guide dog for the disabled and continues as a hunting companion. Early golden retrievers were generally darker in color, but today range form cream to dark golden. They are known for their beauty and are the most glamorous of the retrievers. “Retrievers are very popular among Louisiana sportsmen and we think that some people who might not be attracted to the more traditional duck stamp art might consider purchasing a print featuring a dog,” Helm said. The Louisiana Legislature authorized the Louisiana Waterfowl Conservation Stamp program in 1988. The Louisiana Waterfowl Program, a cooperative endeavor between LDWF, Ducks Unlimited and the Federal Natural Resources Conservation Service has also benefited private lands. Entries for the competition will be accepted from Oct. 15 to Oct. 19. To enter, an artist must submit an original, unpublished work of art, along with a signed and notarized artist’s agreement and a $50 entry fee. Entries should be addressed to Robert Helm, Louisiana Waterfowl Conservation Stamp Program, Louisiana Department of Wildlife and Fisheries, 2000 Quail Drive, Baton Rouge, LA 70808, or P.O. Box 98000, Baton Rouge, LA 70898. 2. Level and accuracy of detail in all aspects of the anatomy of both the retriever and waterfowl. A panel of judges with experience in waterfowl biology and/or artistic method will select the winning design. Judging will take place on Oct. 24, at LDWF headquarters in Baton Rouge. The competition is open to all artists 18 years of age and older. Employees of LDWF and members of their immediate families are ineligible. Qeustions? Comments? 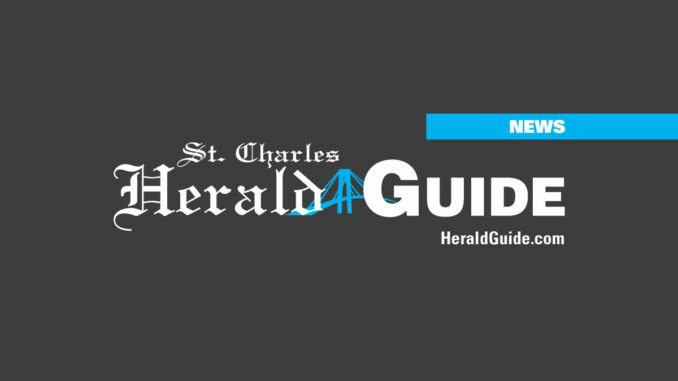 Email Heather R. Breaux at heatherb@heraldguide.com.